Apart from catching a taxi from the airport, which is 26 km from Rome centre the easiest way of reaching the city is by train. Trains depart regularly and the station at the airport is just a short walk from the arrival's terminal. 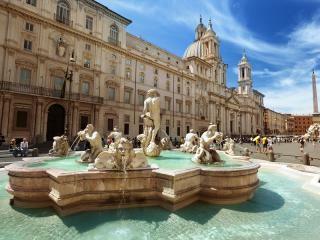 The historical centre of Rome is rather small and walking might be the best way of visiting the various sites. There are also 2 underground lines (A & B) convenient for many of Rome's sights, which go through termini station, but the metro can be rather crowded especially during peak times when locals go to and from work. Buses are easy to use and you should keep in mind that tickets for both the metro and buses must be bought in advance from the "tabacci" shops (little kiosks), newsstands which can be found in almost every corner in the city or from a vending machine. Taxis in Rome can be expensive but convenient if you are in a hurry. 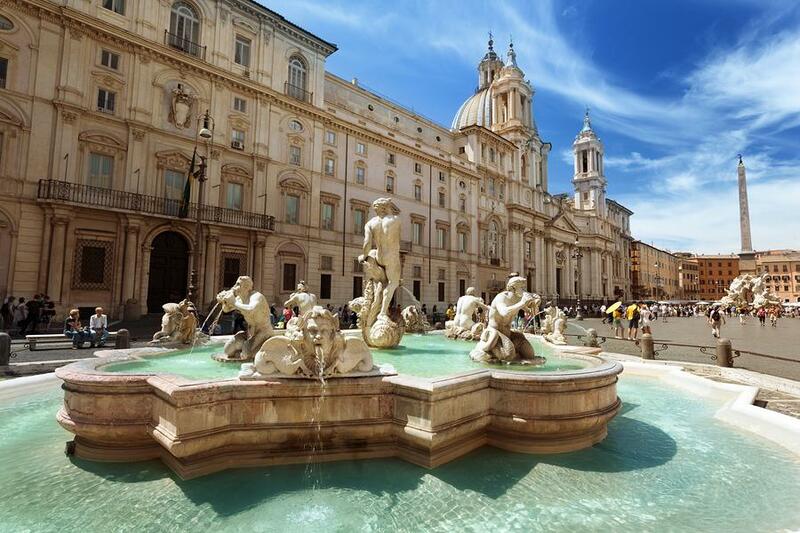 Fiumicino or Leonardo da Vinci airport is serviced by a large number of airlines from just about anywhere in the world and it is the most convenient way to reach Rome. The European train connections are excellent with trains arriving at the termini station, which is centrally located. Driving into Rome is quite an achievement especially working out the "autostrata" exits into various parts of the city. The main road connecting Rome to the north and south of Italy is the Autostrada del Sole, which connects with the ring road circling the city. Parking is also a real challenge and it is advisable to book a hotel with a garage should you decide to use a car in Rome. Eurolines bus service is another main carrier connecting Rome with many European destinations.